AURA COLORS CAN REVEAL DREAMS. 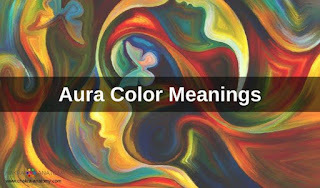 THE AURA COLORS AND THEIR MEANINGS VARY; AURAS CAN BE LIGHT OR DARK SHADES, AND THEY CAN BE VIVID OR DIM. WHEN READING AN AURA COLOR, YOU MUST TAKE INTO ACCOUNT THE SHADE OF COLOR IN ORDER TO BE PRECISE. ALL LIVING THINGS RADIATE AN AURA FROM THE ENERGY THEY EMIT. THESE SPECIAL VIBRATIONS AND COLORS CAN BE SEEN BY GIFTED PEOPLE AND THOSE TRAINED IN THE HEALING ARTS, WHO CAN MANIPULATE ENERGY FIELDS FOR EFFECTIVE HEALINGS. RAINBOW COLORED AURAS ARE FOUND IN HEALERS, ESPECIALLY THOSE TRAINED TO WORK WITH THE BODY'S ENERGY FIELDS. RAINBOW AURAS ARE TYPICALLY SEEN AS SHARDS OF COLORFUL LIGHT, RESEMBLING A SUNBURST. HIGHLY EVOLVED SPIRITUALLY, A PERSON WITH A RAINBOW AURA IS BELIEVED TO BE ATTUNED TO THE SPIRITUAL FREQUENCY OF THE FIFTH DIMENSION (ALSO CALLED HEAVEN). RAINBOW CHILDREN ARE BELIEVED TO BE INCARNATE FOR THE FIRST TIME ON EARTH. THEY ARE ALSO SAID TO EXHIBIT RAINBOW AURAS. BY THE VERY NATURE OF THE HIGH ENERGY FREQUENCY REQUIRED TO GENERATE A RAINBOW AURA, THE COLORS ARE REPORTEDLY ALWAYS BRIGHT AND SHINY. • BRILLIANT COLORED STRIPES: A HEALER'S RAINBOW AURA IS OFTEN SEEN AS COLORFUL STRIPES RADIATING AROUND THE HANDS AND HEAD. OFTEN THE ENTIRE BODY OF A HEALER OR CREATIVE INDIVIDUAL RADIATES A RAINBOW OF COLORS THAT SURROUNDS THE PERSON. • PALE RAINBOW COLORS: IT'S POSSIBLE THAT AN EMERGING HEALER OR SOMEONE ON THE VERGE OF TRUE ENLIGHTENMENT MIGHT HAVE A PALE RAINBOW AURA, BUT AN AURA THAT ALSO FLUCTUATES TO BRIGHTNESS. YELLOW AURA ENERGY HAS A SPECIFIC PHYSICAL CORRELATION TO THE SPLEEN AND TO THE PERSON'S ENERGY SOURCE, AKA CHI. • BRILLIANT YELLOW AURA: YOU'RE SPIRITUALLY INSPIRED OR EXPERIENCING A SPIRITUAL AWAKENING. YOU HAVE A PLAYFUL SPIRIT AND WILL ACT ON YOUR THOUGHTS. • DARK YELLOW AURA WITH TINGES OF BROWN: YOU'RE A STUDENT. YOU FEEL PRESSURED TO ACHIEVE YOUR GOALS AND SCORE HIGH ON TESTS. YOU'VE LOST YOUR LOVE OF LEARNING, AND STUDYING HAS BECOME A TIRESOME CHORE. • LEMON YELLOW AURA: YOU HAVE A FEAR OF LOSS. THIS MAY BE THE LOSS OF A JOB, DIVORCE, A LIFESTYLE CHANGE, LOSS OF HEALTH OR THE FEAR OF LOSING CONTROL OVER YOUR DESTINY. • PALE YELLOW OR LIGHT YELLOW AURA: YOU RECENTLY EMBARKED ON A SPIRITUAL JOURNEY, OR YOU'VE DISCOVERED LATENT PSYCHIC ABILITIES. THERE'S A RENEWED SENSE OF EXCITEMENT AND HOPE FOR THE FUTURE. ORANGE AURA ENERGY IS ASSOCIATED WITH THE REPRODUCTIVE ORGANS AND HOW A PERSON'S EMOTIONS ARE BOUND TO THAT REGION OF THE BODY. • BRIGHT ORANGE AURA: THIS SHADE INDICATES YOU HAVE GOOD HEALTH, VIBRANCY AND YOU'RE LIVING LIFE TO ITS FULLEST. AN OVERABUNDANCE OF THIS HUE COULD INDICATE YOU'RE TRYING TO OVERCOME AN ADDICTION OR A DESIRE. • RED ORANGE AURA AURA: YOU WIELD GREAT PERSONAL POWER AND GIVE OFF AN AIR OF CONFIDENCE. • ORANGE-YELLOW AURA: YOU HAVE A SCIENTIFIC MIND AND TEND TO BE A BIT OF A PERFECTIONIST. YOU HAVE A LOVE FOR DETAILED WORK AND MENTALLY CHALLENGING PROJECTS. WHAT DOES A RED AURA MEAN? A RED AURA IS ONE OF THE MOST POWERFUL COLORS FOUND IN AN AURA ENERGY. IT CAN BE A POSITIVE OR A NEGATIVE ELEMENT. RED REPRESENTS BLOOD AND LIFE FORCE. IT'S A VIBRATION OF ACTION WITH THE ABILITY TO EITHER ATTRACT OR REPEL. • DARK RED AURA: YOU'RE CENTERED AND GROUNDED TO THE EARTH, SELF-SUFFICIENT, AND ABLE TO SURVIVE ANY CIRCUMSTANCE. • BRILLIANT RED AURA: YOU ARE VERY PASSIONATE, SEXUAL, FULL OF ENERGY, AND COMPETITIVE. • CLOUDED RED AURA: THIS REPRESENTS A NEGATIVE ENERGY. YOU HAVE A DEEP-SEATED ANGER THAT YOU CAN'T LET GO. • PINK AURA MEANING: YOU'RE A LOVING PERSON. PINK INDICATES AN ARTIST, A SENSUAL PERSON WHO APPRECIATES THE FINER THINGS IN LIFE. IF YOU'VE RECENTLY FALLEN IN LOVE, YOU'LL HAVE A SIGNIFICANT AMOUNT OF PINK IN YOUR AURA. PSYCHICALLY GIFTED PEOPLE ALSO HAVE PINK AURAS. • DARK PINK AURA: YOU ARE NOT TRUSTWORTHY. THIS COLOR INDICATES DECEIT, DISHONESTY, AND AN IMMATURE PERSON. BLUE AURA COLORS REPRESENT THE THROAT, SPECIFICALLY THE THYROID. IF YOUR AURA ENERGY IS BLUE, YOU'RE INTUITIVE, AND YOU LOVE HELPING PEOPLE. YOU REMAIN CALM DURING A CRISIS. OTHERS LEAN ON YOU FOR SUPPORT. • ROYAL BLUE AURA: THIS MEANS YOU ARE A HIGHLY DEVELOPED SPIRITUAL INTUITIVE OR CLAIRVOYANT. YOU HAVE A VERY GENEROUS AND GIVING SPIRIT, AND YOU ARE ALWAYS OPEN TO NEW POSSIBILITIES. • DARK BLUE AURA OR CLOUDY BLUE AURA: YOU DON'T TRUST THE FUTURE AND CAN'T FACE THE TRUTH DUE TO YOUR DESIRE TO TAKE CONTROL. • LIGHT BLUE AURA OR SKY BLUE AURA: YOU'RE TRUTHFUL AND SERENE, AND YOU EXCEL IN ALL FIELDS OF COMMUNICATION. WHAT DOES A GREEN AURA MEAN? GREEN IS THE COLOR OF THE HEART AND OF NATURE. THIS IS USUALLY FOUND WITHIN THE AURA OF HEALERS, TEACHERS, AND PEOPLE WHO WORK FOR THE PUBLIC GOOD. • LIGHT GREEN AURA MEANING: A LIGHT GREEN AURA INDICATES LOVE, HEALING, AND INNOCENCE. • FOREST GREEN AURA: YOU'RE A NATURAL HEALER. YOU ARE TIED TO NATURE AND USE HERBS IN YOUR HEALING PRACTICE. • YELLOW-GREEN AURA MEANING: YOU'RE A COMMUNICATOR. YOU MAY BE AN ACTOR, WRITER, MUSICIAN, OR SALESPERSON. • DARK GREEN AURA MEANING OR CLOUDY GREEN AURA: YOU ARE A VERY JEALOUS PERSON AND FULL OF RESENTMENT. YOU REFUSE TO ACCEPT RESPONSIBILITY FOR YOUR OWN ACTIONS. • TURQUOISE AURA OR GREENISH-BLUE AURA MEANINGS: THIS IS THE ULTRA AURA COLOR FOR A POWERFUL HEALER. YOU HELP OTHERS DISCOVER THEIR INNER TRUTHS. IT'S USUALLY FOUND IN DOCTORS, HEALERS, AND COUNSELORS. PURPLE ENERGY IN AURAS IS ASSOCIATED WITH THE PITUITARY GLAND, PINEAL GLAND, AND THE NERVOUS SYSTEM. • VIOLET AURA: YOU ARE A VISIONARY OF THE HIGHEST LEVEL. YOU'RE SOMEONE WHO CAN DAYDREAM AND CHANGE THE WORLD WITH SPIRITUAL LOVE. • INDIGO AURA: YOU GET GLIMPSES INTO OTHER WORLDS AND ARE A WISE SEEKER. • SILVER AURA MEANING: THIS IS THE COLOR OF ABUNDANCE. IF SHINY AND BRIGHT, IT INDICATES YOU HAVE GREAT PHYSICAL AND SPIRITUAL WEALTH. • GOLD AURA MEANING: YOU HAVE ANGELS AND OTHER DIVINE ENTITIES PROTECTING YOU. YOU'RE BEING MENTORED AND GUIDED TO REACH BEYOND YOURSELF. WHAT DOES A BLACK AURA MEAN? BLACK AURAS INDICATE YOU'RE HOLDING ON TO NEGATIVE FEELINGS. TYPICALLY, IT INDICATES AN UNWILLING AND UNFORGIVING SPIRIT. THIS COLOR CAN ALSO INDICATE THAT DISEASE IS BEING HELD IN CERTAIN REGIONS OF YOUR BODY. THERE ARE NO BAD AURA COLORS; HOWEVER, THERE ARE AURA COLORS THAT COULD INDICATE YOU NEED TO WORK ON CERTAIN ASPECTS OF SELF ENERGETICALLY. DARK COLORS CAN BE INDICATORS OF BLOCKED ENERGY CENTERS WITHIN THE BODY. • GREY AURA MEANING: THIS COLOR INDICATES BLOCKED ENERGY FIELDS. YOU DON'T TRUST ANYONE OR ANYTHING. • DARK AURA OR MURKY BROWN AURA: YOU'RE AFRAID TO LET GO, AND YOU'RE TRYING TO HOLD ON TO YOUR PERSONAL POWER OR YOU'RE AFRAID TO SHARE YOURSELF WITH OTHERS. WHITE AURA COLORS TYPICALLY INDICATE A NEWNESS AND PURITY. WHITE ENERGY CAN BE FOUND IN HIGHLY SPIRITUAL PEOPLE WHO'VE TRANSCENDED THE PHYSICAL AND ARE PREPARING TO ASCEND. RELIGIOUS HISTORY CLAIMS WHITE AURAS WERE SEEN SURROUNDING ANGELIC BEINGS. WHITE AURA ENERGY CAN ALSO BE FOUND IN SOULS THAT ARE VERY NEW TO THE INCARNATION CYCLE ON EARTH, TYPICALLY IN A FIRST LIFETIME. HOW BRIGHT OR DIM YOUR AURA IS INDICATES HOW STRONGLY THE ENERGY IS THAT YOU EMIT RIGHT NOW. THE BRIGHTNESS WILL VARY BASED ON YOUR OWN ENERGY LEVELS AND EMOTIONS. A BRIGHTER AURA INDICATES A POWERFULLY STRONG ENERGY, WHILE A DIMMER AURA MAY INDICATE WEAKER ENERGY. A LIGHT AURA MAY ALSO INDICATE NEWLY DAWNING ENERGY OR THE PRESENCE OF SOME ENERGY THAT IS NEW TO YOU. A MORE VIVID AURA MAY INDICATE THIS IS AN ENERGY YOU HAVE BEEN WORKING WITH FOR A LONG TIME. YOUR AURIC COLOR IS A REFLECTION OF YOUR CURRENT ENERGY STATUS. IT SURROUNDS YOU IN A CLOUD OF COLORFUL ENERGY, OFTEN IN MULTIPLE LAYERS OF VARIOUS COLORS. AURAS CAN CHANGE FROM MINUTE TO MINUTE, OR THEY MAY REMAIN A STEADY SHADE AND INTENSITY FOR A LONG PERIOD. MANY THINGS WILL AFFECT THE SHADE OF EACH LAYER OF PEOPLE'S AURA COLORS, FROM SIMPLE THINGS LIKE MOOD TO MAJOR ISSUES SUCH AS SPIRITUAL DEVELOPMENT. LEARNING HOW TO READ AURA COLORS AND UNDERSTANDING YOUR AURA COLORS CAN PROVIDE A GREATER UNDERSTANDING OF YOURSELF BY GIVING A GLIMPSE INTO YOUR HIDDEN THOUGHTS, BURIED EMOTIONS, AND LONG FORGOTTEN MEMORIES. ONCE YOU LEARN WHICH COLORS ARE IN YOUR AURA, YOU CAN BEGIN TO HEAL AND CHANGE THINGS YOU PREVIOUSLY DIDN'T RECOGNIZE WERE HOLDING YOU BACK.